We are a Virtual Air Carrier organized for the purpose of simulating realworld cargo operations of an FAA Part 121 certified all cargo carrier. Our schedule operates daily flights on an all Boeing freighter fleet to domestic and international destinations. 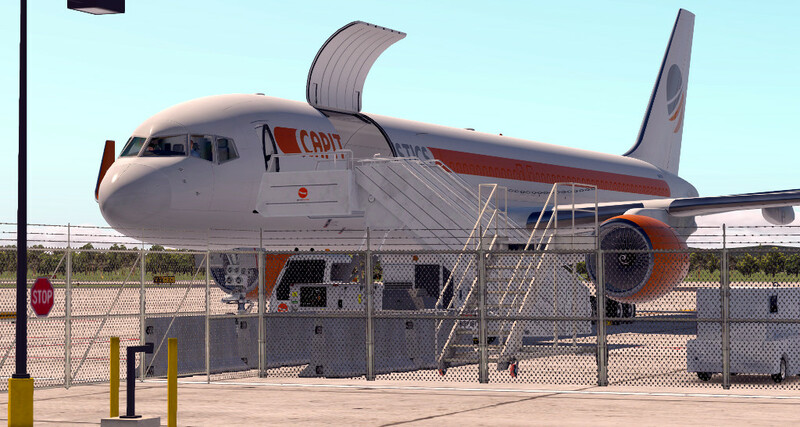 Capitol Logistics is a Virtual Airline thats focuses its operations for the users of Laminar Research's X-Plane 11. Lockheed Martin's P3D, and Microsoft Flight Simulator are also supported. Our operations emulate realworld operations, and strive on being a realistic Virtual Airline, all while maintaining the flexibility required by our hobby to ensure fun for all pilots of varying skills levels, and levels of interest. This is YOUR airline! Capitol Logistics operates a fleet of modern, cost effective, and efficient wide-body and narrow-body freighters based on the latest real world availability and specifications. The current fleet of Boeing 747, 757, 767, and the Saab 340 aircraft allow for the best available payware models, offering a high fidelity simulation both in the cockpit and on the backend systems. Aircraft are added on a realistic cost model that allows for long term leasing or outright purchasing of the aircraft, and are only added when there is a business case to do so. We don't believe in restricting aircraft to our crews based on arbitrary ranks. You bought it, you fly it! Capitol Logistics operates in both domestic and international markets, providing scheduled and on demand freight services for a variety of customers, both large and small. Capitol Logistics is planning long-term realistic expansion utilizing a financial model that simulates revenue generation, and expenses to emulate a real living business. Our routes and operations are based on realworld best business practice principles, and decisions are made with the utmost attention to what would make the best business case. Capitol Logistics has a workforce of dedicated pilots ranging in all experience levels from those new to the flight simulation and virtual airline community, to real world pilots, FAA air traffic controllers, and airline aviation professionals. The majority of our workforce maintains an account on the Vatsim network with several thousands of hours of logged time spanning over a decade. We maintain a very close knit community fostering camaraderie and espirit de corps thru our very active Discord server and forum. We welcome you to join and participate! Are you intersted in joining?